An R-rated comedy from Seth Rogen and Evan Goldberg is bound to feature particular elements that are the safest bets you could make and they are f-bombs, drugs, and crude humor. The latest release is no different, but with one minor twist; it’s animated. With animation involved, Sausage Party is able to get away with so much more than a typical comedy and they know it. Oh they definitely know it. Life is good for all the food items that occupy the shelves at the local supermarket. Frank (Seth Rogen) the sausage, Brenda (Kristen Wiig) the hot dog bun, Teresa Taco (Salma Hayek) and Sammy Bagel Jr. (Edward Norton) can't wait to go home with a happy customer. Soon, their world comes crashing down as poor Frank learns the horrifying truth that he will eventually become a meal. After warning his pals about their similar fate, the panicked perishables devise a plan to escape from their human enemies. From the start, the premise works as a satirical piece making fun of classic animated films, even including a raring musical number. But from there the story relies on raunchy humor and even leans on the food’s horror for comedic moments. And yet strangely enough, there is a message among all the madness. The crude comedic film is hardly the first place someone would look, but Sausage Party manages to work an allegory on religion into its framework. And it works somehow. As far as voice work is concerned, everyone seems to nail his or her part for the film. With stereotypes galore, and believe me they go after everyone, each voice needed to serve the stereotype in the right way and they do for the most part. The comedy works in spades. It’s overflowing with raunchy, crude and vulgar jokes just as expected. There are some lulls in the comedy between bigger scenes where the jokes don’t hit quite as hard, but others are completely gut busting. 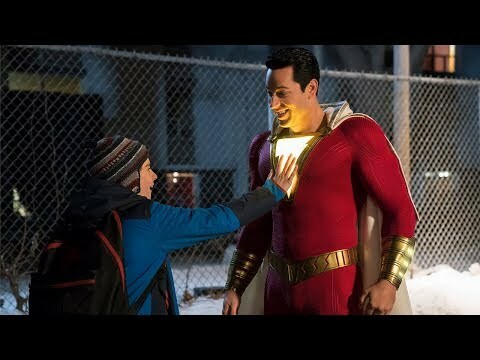 Those lulls come right around the middle of the film, where the entire narrative drags slightly anyway so it only accents the faults in the comedy. The jokes are far from subtle, but are all pretty relevant and timely, and quite clever at times. Overall, Sausage Party is more vulgar and crude than you could ever imagine, but it’ll get you to laugh that much is certain. One caveat, I must say, is that you must know what you’re getting into with this film. It’s not for the faint of heart or easily offended and it most certainly earns it’s R-rating. The humor is abundant and often juvenile, but everything still manages to hit for an all-together entertaining comedy. 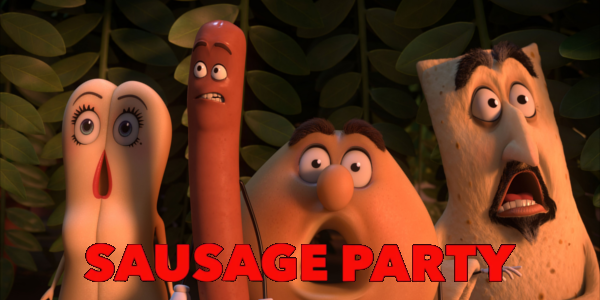 So what did you think of Sausage Party? Have you seen it and what's your favorite Seth Rogen led comedy? Subscribe, share, comment below and as always return to I Am Sam for weekly reviews and insight.